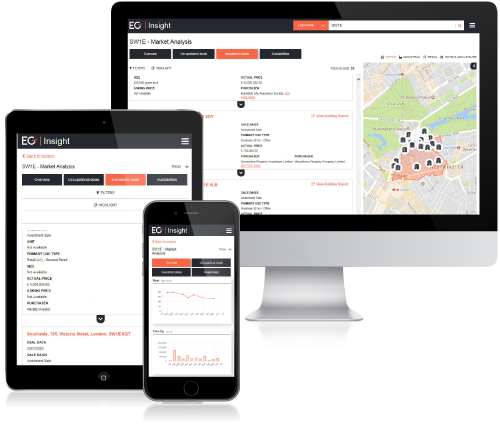 EG’s data & analysis is the trusted source of real estate intelligence for property professionals throughout the UK and beyond. Our market-leading online data, news and analysis gives you powerful insight into a continually changing market and our premium publications delve even deeper into the emerging trends of real estate to help you win more business and exceed your clients’ expectations. Whether you’re negotiating the best possible deal for your client or searching for that hidden off market opportunity, EG’s wealth of real estate data, powerful aggregation tools and critical news and analysis ensure you have the very best market intelligence at your disposal. The must read in international real estate analysis and insight, EG’s real estate Investor Guides delve deep into the emerging trends and investment opportunities of the UK and global markets.